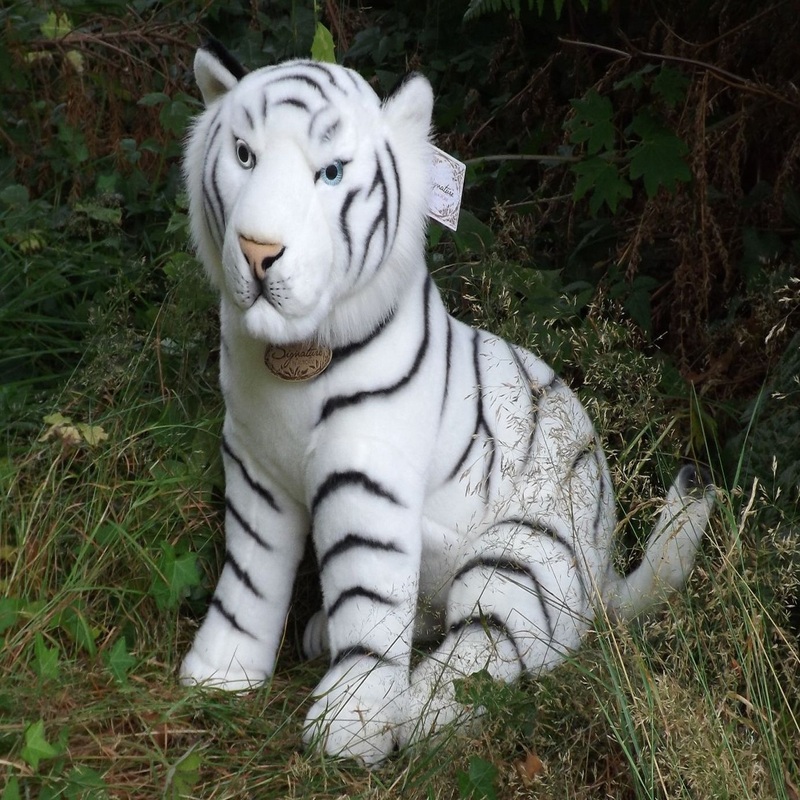 Capture the Raw and Untamed Wild with a Realistic Stuffed Animal. 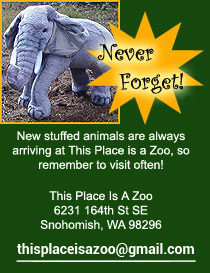 This Section contains a Huge Selection of Exotic and Amazing Wild Stuffed Animals from the Zoo and Around the World. Great selection of exotic stuffed zoo animals from the jungles and rainforests of the world. Here you will find realistic stuffed wild animals from the tropical areas of Asia and South America. This is the stuffed big cat section of the zoo. Here we have a great selection of plush stuffed jungle cats, like Lions, Bengal Tigers, White Tigers, Cheetahs, Jaguars, Black Panthers, Leopards and more! 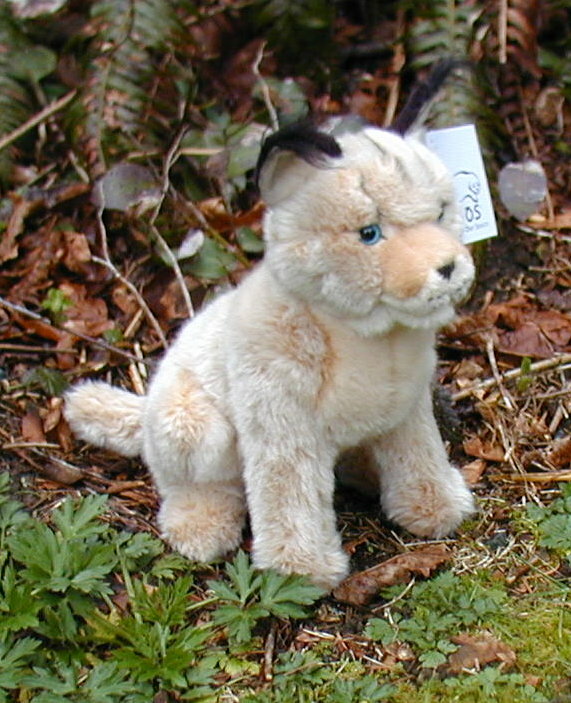 Too many cute and cuddly plush wild cats to list. This is the aviary section of the zoo. 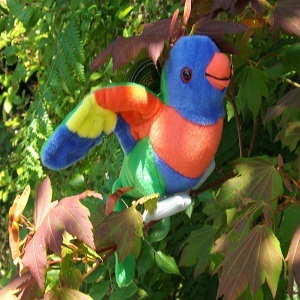 We have a great selection of colourful plush tropical birds. These amazing stuffed toy jungle birds are realistic looking and well made. Come look at our pictures of stuffed toy toucans, macaws, peacocks, cockatoos and more! 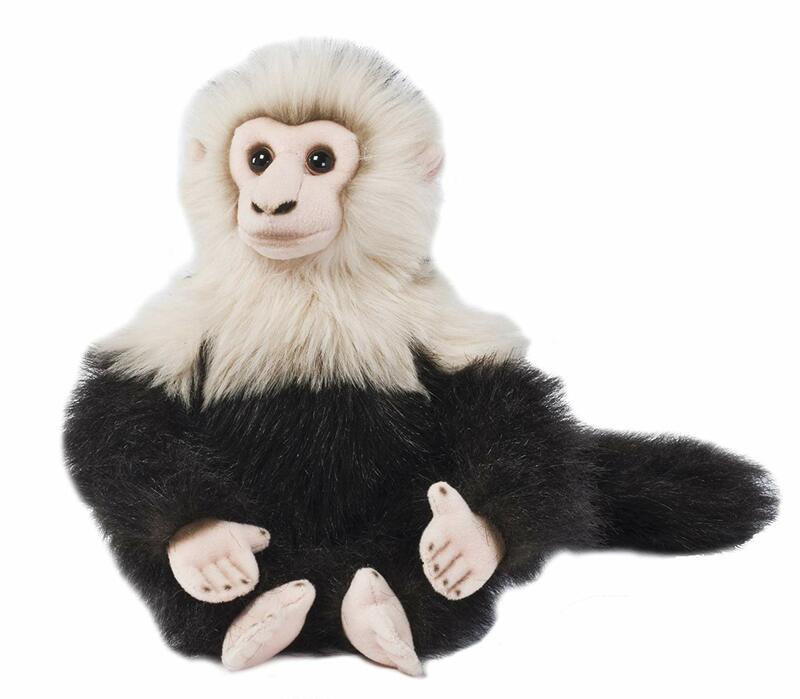 Here you will find a great selection of stuffed toy monkeys and apes from the zoo. We have lots of plush stuffed chimpanzees, baboons, gorillas, gibbons and orangutans, and lots of cute stuffed monkeys. Let’s go on an African Stuffed Animal Safari! We have a huge selection of quality and realistic looking stuffed wild animals from Africa. From Aardvarks to Zebras, our plush stuffed animals bring the majestic wild animals of Africa home to you! This Place is a Zoo has a ‘Down Under’ collection of quality and realistic stuffed animals from Australia and the South Pacific. 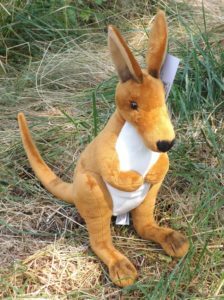 Here you will find a nice collection of the unique and amazing animals from Australia, like cuddly stuffed koalas, wallaroos and kangaroos, stuffed platypus, and even wombats! This is the Snake House of the Zoo. 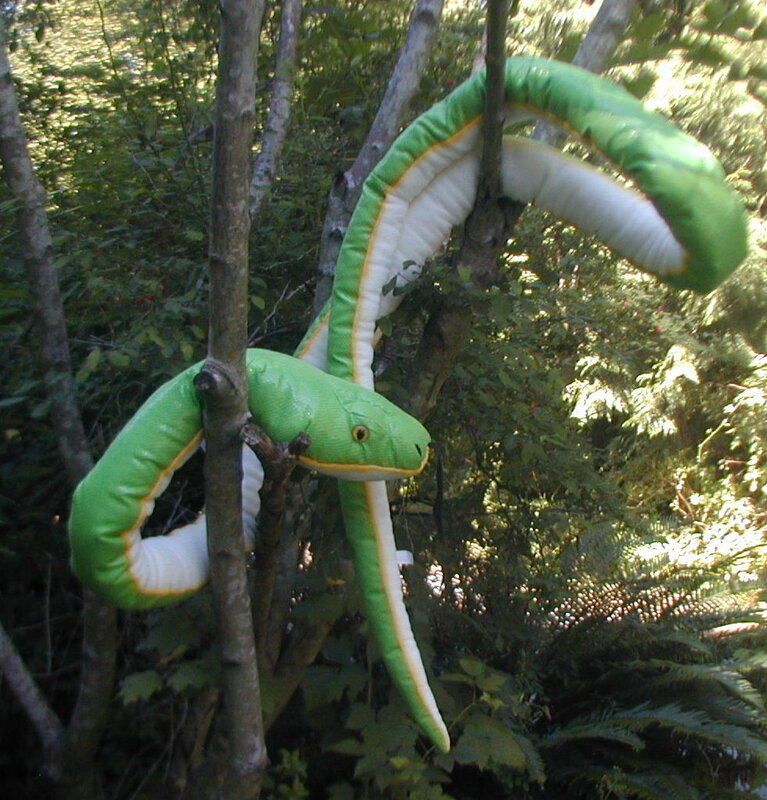 We have a large selection of snake and lizard plush stuffed toys! This Place is a Zoo has several snake species in plush toys and also some very realistic rubber snakes. Look for the large stuffed anaconda and python snakes and also the komodo dragons and iguanas. And don’t forget the cool and colourful poison dart frogs! Nothing captures the awe and mystique of raw untamed nature like a wild jungle animal. Movies like Tarzan and The Jungle Book, as well as many books and stories over the centuries, have created a fascination and allure to exotic jungles and far away places. My fascination with wild animals came early in my life as a kid reading books about Frank Buck, the famous wild animal catcher. Later, watching movies like Swiss Family Robinson and Born Free only deepened my love for wild animals and the jungle. 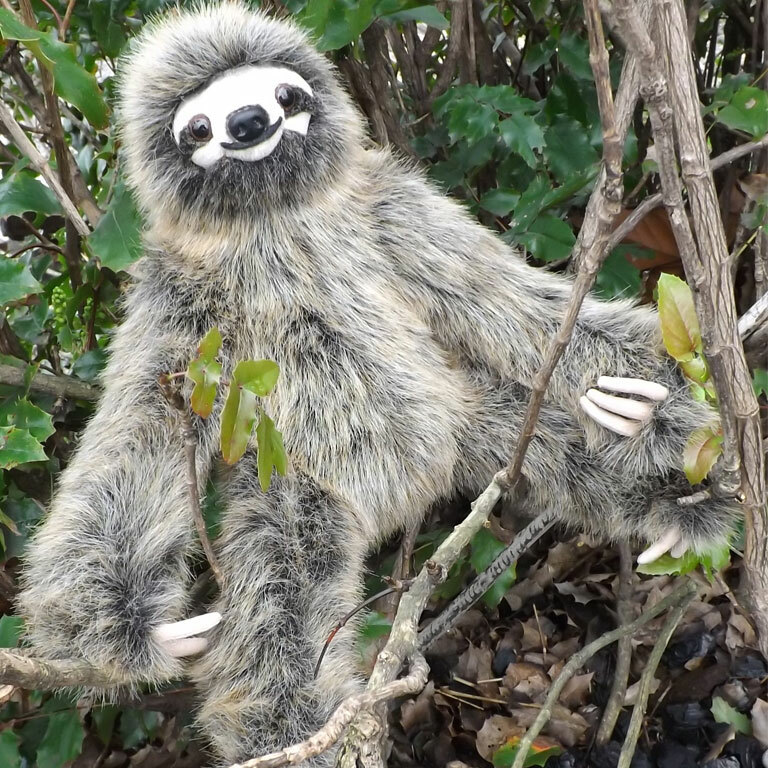 Are you looking for a quality well made exotic stuffed animal from the jungle? Then please proceed into our various categories of stuffed plush jungle animals. We have stuffed animals from Africa, Australia, the rainforest, the jungle and the savannah. 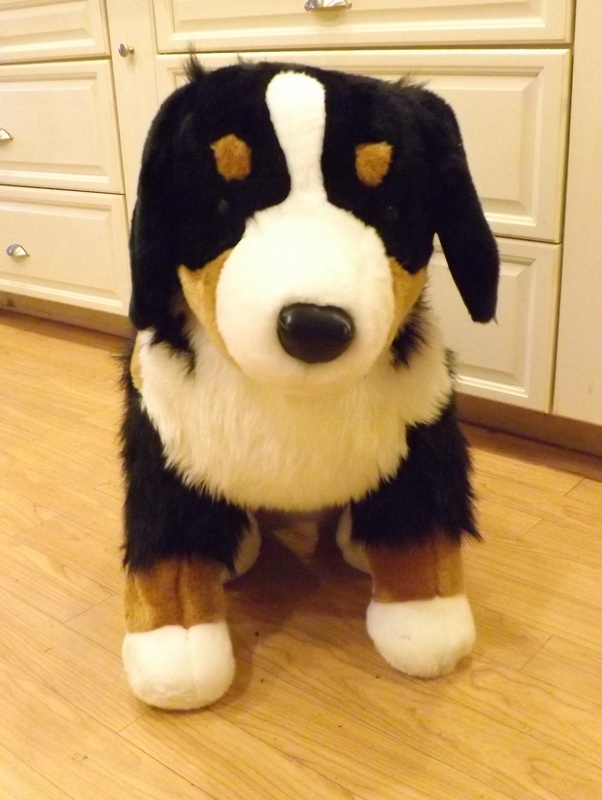 We carry stuffed animal collections from the Wild Republic, Douglas, Hansa, Fiesta, Aurora, Leosco and more! Put on your safari hat and khaki shorts and explore the many varied jungle stuffed animals and wild plush toys we have in our collection. Tell your children and friends about This Place is a Zoo. Most of the plush jungle animals in this section are in stock and ready to ship. 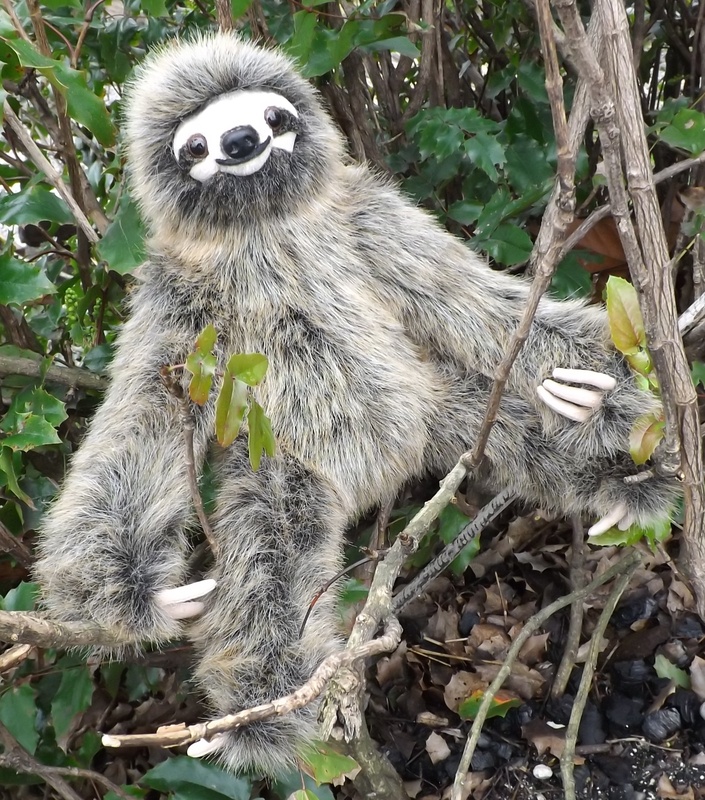 Click on the icon pictures of each stuffed jungle animal category to see the list of realistic and exotic zoo stuffed animals that we carry in each section. Scoop up truly exotic looking jungle stuffed animals, like the Hyacinth blue macaw, standing okapi, and young sloth. Delight young children with a stuffed elephant toy, stuffed giraffe, plush baby zebra, floppy toy rhino, or regal stuffed gazelle. So beloved are jungle cat stuffed animals that they warranted their own category. Choose from a number of cheetahs, leopards, caracals, and tigers. The king of the forest, the stuffed animal lion, is well represented, too. Monkeys and apes enjoy popularity, too. 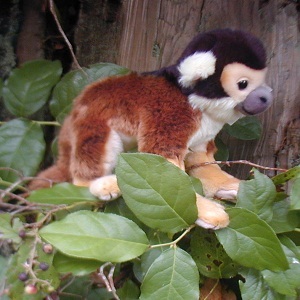 Our stuffed toy monkeys include rare Japanese macaques, golden lion tamarins, and ring-tailed lemurs. Hanging monkeys, chimpanzees, orangutans, gibbons, and stately gorillas are also available. Travel well below the equator to Australia with finds from our Down Under category. Stuffed wombats, platypuses, koalas, and poison dart frogs are unique additions to any collection. 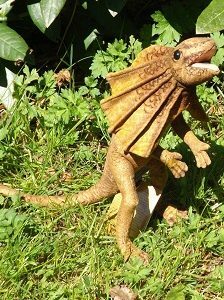 Hundreds of snakes and lizards thrive in the Outback – and Africa and Asia – which is why we’ve dedicated a section of our site to colorful lizards and stuffed snake animals.